Focus Italia Group represents and distributes the following brands in Italy: Focus, Cervelo, Kalkhoff and Univega. In addition it distributes the accessories Mio, Hed and Arinos. Focus Italia Group has chosen WINTRADE for the implementation of the digital strategy, focused on a portal based on an ecommerce platform for the b2c online selling as well as b2b platform dedicated to the authorized dealers. The portal has been studied in order to guarantee an exclusive experience to the user, within the values of the brand and its bikes. A real reference for all the passionate of this sector. 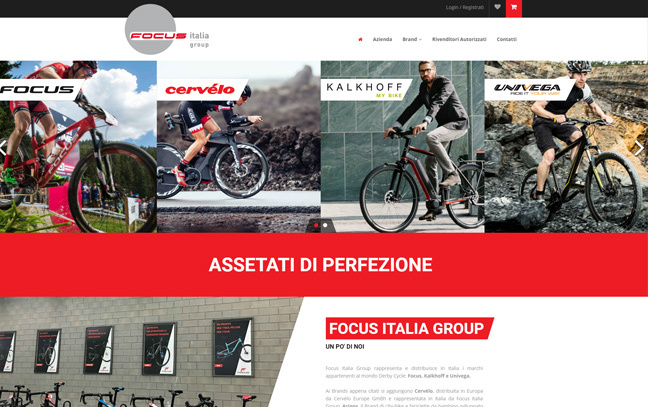 Thanks to the new online presence, Focus Italia Group allows the user to purchase the bike just in one click directly from the portal. WINTRADE has realised the implementation of an ecommerce b2b and b2c, integrated with the management system target Cross: the whole purchasing process, starting from the research of the availabilities until the payment, is real time synchronized, thanks to the newest web services studied and developed ad hoc. The challenge for WINTRADE has been to guarantee to Focus Italia Group staff the possibility to use only one platform for the management of two different areas with different technologies. Thanks to the online purchasing, the customer can enjoy a cash back circuit: for each product purchased, a fixed euro amount has been recognised and can be reused for the further purchasing. The project includes a b2b application dedicated to the Focus dealers. Through a reserved area, it’s possible to purchase the products with dedicated prices and also, have access to a list of many information, including statistics, just in one dashboard. The real time reading of the data is allowed thanks to the integration with the management’s system. In order to promote the b2b website, improving the brand awareness and generate traffic to the website, WINTRADE has activated digital marketing activities, click to web Facebook advertising and digital PR campaigns with the aim to increase the knowledge of the brand and its products. WINTRADE has realised a web portal integrated with our systems, with an easy and innovative design. Further is dealing with efficient and detailed digital marketing activities. It’s a very reliable partner, valuable for the development of the project. 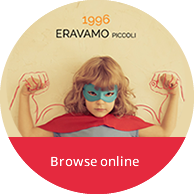 Do you want to be up-to-date on interesting activities for your company? Subscribe to our Newsletter now!